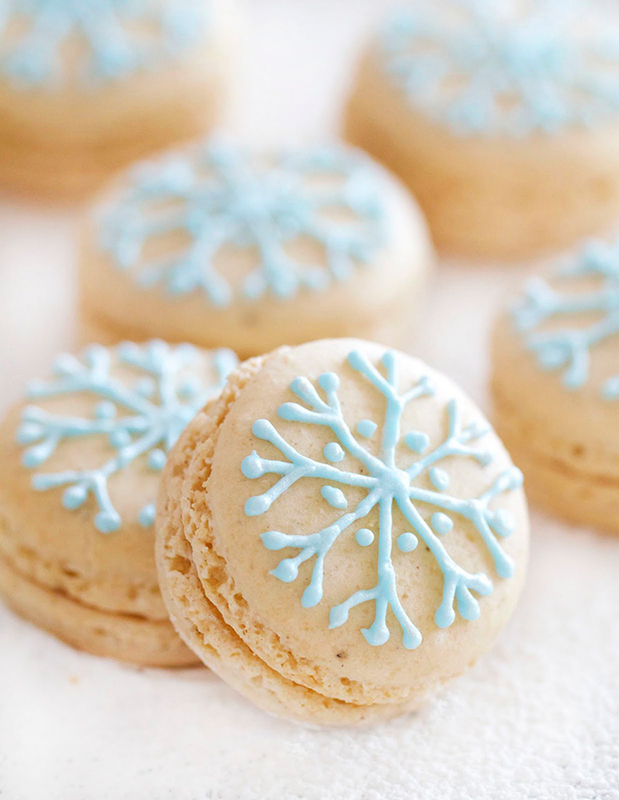 These stunning little macarons, with their pale aqua snowflakes piped on in royal icing, are so pretty for a Winter Wonderland party. They also sound absolutely delicious: vanilla macarons with vanilla white chocolate ganache. Yes please! Get the recipe for these little beauties at Epicurean Mom. You're right, they are definitely stunning! That pattern is so intricate.